You might have seen in my earlier essays that I like to see life as though it was a game. Now I want to compare life as if it would be a game of chess. I think of it as I am representing the white and black is what I have to overcome in order to reach my life goals. My life goals is to be happy, reaching success as a writer, have many nice friends, getting a good girlfriend, raising successful children, being healthy, having financial freedom and helping other people to become successful. I think it is important to understand that it is you who control the pawns, how they move and what happens to them rather than thinking that you are the pawns and they are controlled by God, your genes, patter in society, just random or any other such idea. Personally I believe that if you can establish the thinking that you are responsible for anything that happens in your life or did not happen which you wanted to happen then you have come far on your way. 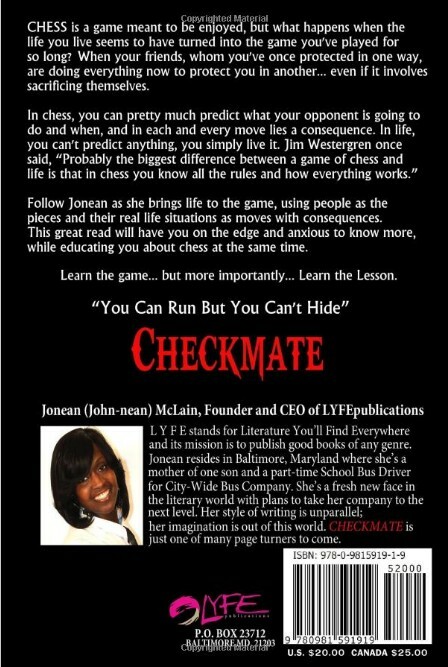 The black pawns is every kind of obstacle or problem coming or standing in your way in reaching your goals and the game is if you can reach your goals despite any and all reasons. I believe you can, within reason. 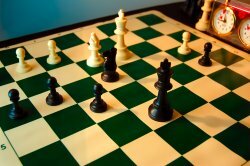 In chess you predict what your opponent is going to do and each and every move has a consequence and meaning in the overall game. The same is in life. If you can predict what will happen in the future when you do certain actions and how your actions affects everything else I believe you are good on your way. 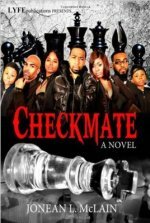 Did you ever play chess and stood up and walked around and saw the game from blacks side? Try to do the same in life. See life from other viewpoints and angles. Try the unknown, test things, learn, discover. Probably the biggest difference between a game of chess and life is that in chess you know all the rules on how everything works. This is not so in life. In life you start as a child without a manual on how to live. Your parents and school will learn you a lot but most of the things you have to learn yourself. And many things are not easy. It is expected that you get good grades in school, find a good place to live, a job you like, a good wife or husband and successful children. This is not easy and some things can be very hard. Perhaps you have seen the famous quote that says that your enemy is your greatest teacher? Well, in my example, I like to see it as the black pawns is what you learn from. Study how they move and what they do. See every setback as a new opportunity. No matter how much you learn there is more you can learn. Never ever assume you know all about something. When I was a kid I read in an excellent article that an important point in becoming a genius is to learn something new each day. Focus on the things that will make you win over black and reach your goals in life.